At any rate, it’s not important in the end, because after the first few months the amount of traffic jumped exponentially. The first six months, I had around 1000 hits. By the end of the year (which is tonight, if I’m not mistaken, I’ve crested 5000 for the year. I lost my grandfather later on this year, and the way that felt best to grieve was to write how his passing had made me felt. A revised version of it was read at his funeral after prodding from several family members, and it felt good to give voice to my experiences with him, to tell our stories. Here is a link to it. That those experiences were not dissimilar from a lot of my family members never donned on me until I spoke with them later. For a little site like this, 4000 hits in five months is nothing to sneeze at, and I owe it all to you guys. My plan for 2011 was to publish a short story or two, learn what I could about marketing myself as an author and also see what I could find out about the ins and outs of the book market. I didn't expect to make a killing at this overnight, and if I’m honest with myself I know my chances of ever sustaining my family with my writing alone are pretty slim. Did I close the year wealthier than I did in 2010? Not because of the book sales, but I learned a TON about how to do it right, or at least do it better. I published two short works, titled “Where I Can’t Follow”, and “Judgment Cove”. Combined, I’ve sold less than a hundred copies over the year. 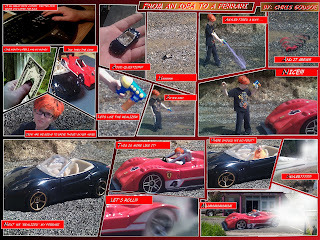 I suspected it wouldn’t be an easy climb, and even made a comic strip (click here to see it) mocking how other plans had to be made when my first commission check did not cover the pair of Ferrari’s that my son and I had our hearts set on. We still ended up with Ferrari’s, but we had to use a little imagination and magic. No easy task, let me tell you. I produced book trailers for both stories, again sticking with the plan of learning as much as I could so that I could make 2012 pay off. I didn’t really set out with the 2011/2012 year change as a means of demarking the different phases of the plan, but I have to admit, it did work out nicely. Nothing I did in regards to this site will go to waste, the lessons learned will prove to be invaluable, but at some point, the training wheels need to come off. I have laid the groundwork for a 2012 that should move the needle even further. 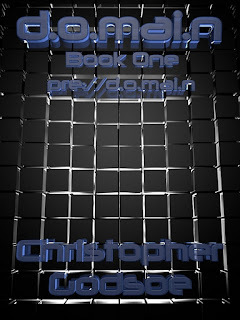 My first full length novel-pre://d.o.mai.n, is nearing completion and will soon be making it’s way to various prospective agents. I'm going to give two or three a shot at it before I take matters into my own hands and self-publish. Why not just self-publish anyways? Well, to be honest I'd like to give it a shot. I have some ideas for marketing my book, but it would be great to have someone else helping me that's invested financially in it's success. So I'm going to at least test the waters. I have a few ideas for marketing the book, but I'm going to hold off on letting the cat out of the bag just yet. 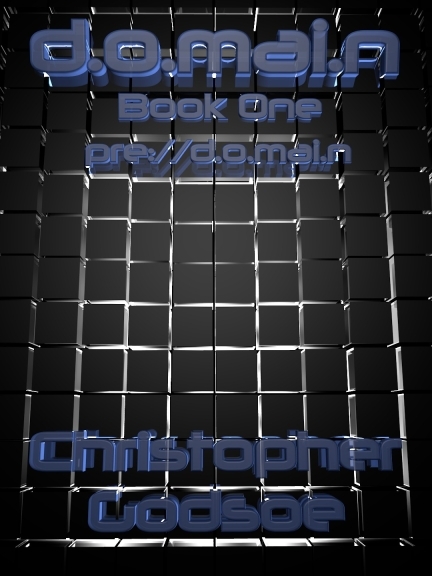 After that, there is d.o.mai.n 2 (as yet untitled), and another story I have planned with the working title of "Split". It's going to be a literary fiction piece with what I think is an interesting twist. I need to keep trying new things or else boredom will set in. Of course, which project takes root first will largely depend on how well pre://d.o.mai.n does. On a more personal front, I am starting the Insanity workout program on Monday. I've got enough time to go through it two full rotations before bikini season (aka wigglewigglewigglewigglewigglewiggle time), so hopefully this summer I will be rounding into form, but time will tell. A very good friend asked me the other day what my hopes for next New Years Eve would be, and my answer was, "To be wealthier, better looking, happier, and less lonely than this New Years". Happy New Years Everyone, and thanks again for an awesome year!